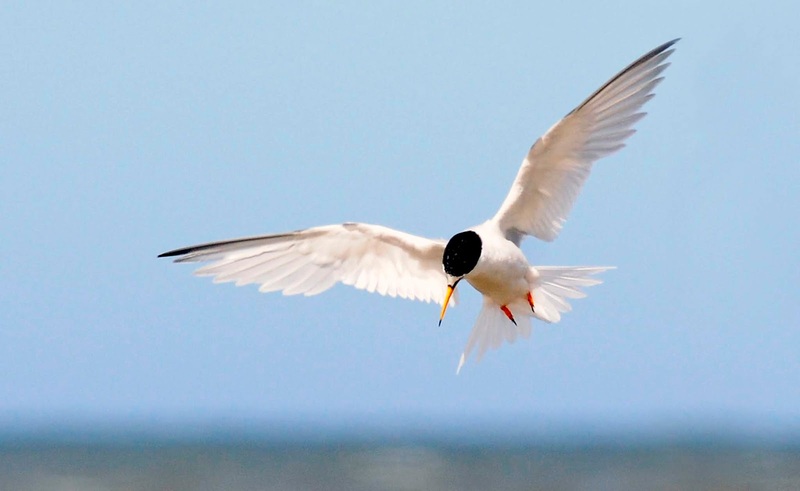 As wedding bells pealed in Windsor, and millions of people around the world watched the royal wedding on May 19th, the wardens at Lindisfarne National Nature Reserve were celebrating quite different news – our first little tern egg of the year. Quietly, with no fanfare: one small speckled egg. If we’d had flags we’d have waved them - it’s what we’ve been hoping, and working, for since long before the beginning of shorebird season. Preparation and planning is year around, and in April staff and volunteers set out laden with fence posts, coils of rope and a heavy mell hammer in order to fence off safe areas for the birds – as well as coils of plastic predator-proof netting to encircle potential nesting sites. Where to put them? Well… who can predict the ways of terns, but based on knowledge of their habits and the evidence of previous years, we fenced off five areas across the reserve, the mell becoming heavier with each post that we drove into the sand. 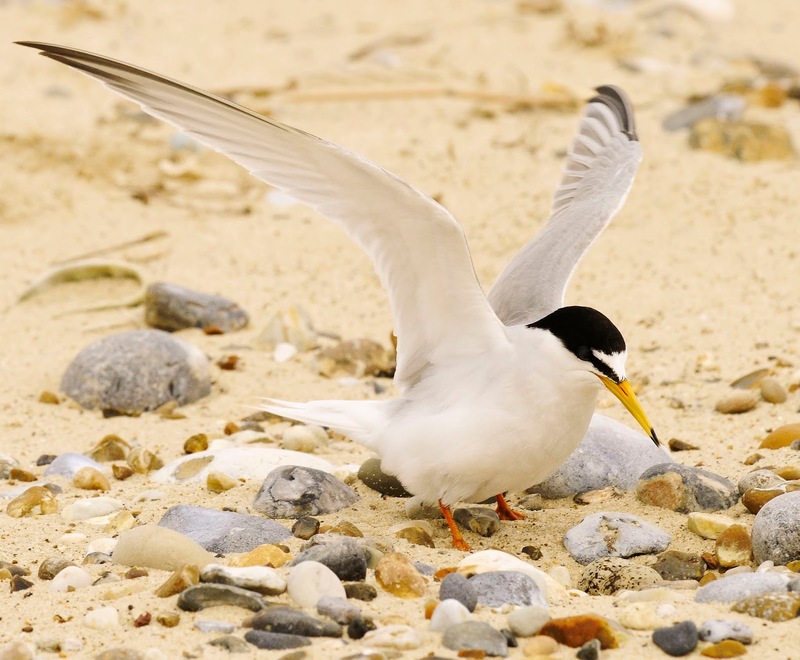 Little terns are the UK’s second rarest nesting seabird and Britain’s smallest seabird – delicately built, agile and very sweet. Despite their size, they migrate thousands of miles each year – all the way from West Africa to the Northumberland Coast. I’d never seen one except in photographs. You’ll love them, I was told. But where were they? We’d expected them at the beginning of May yet this brought only a couple of pairs to the reserve. Everything was ready… but the terns were late. Days passed. Where we had expected flapping, squeaking busyness, there was only silence and stillness. We began to wonder – would they come at all? What had happened, so far away? Then news – on Twitter, appropriately enough – from the south: they’re on their way. 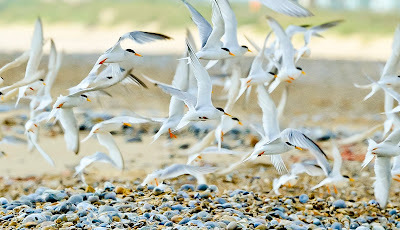 Sussex had started to see their terns arrive. 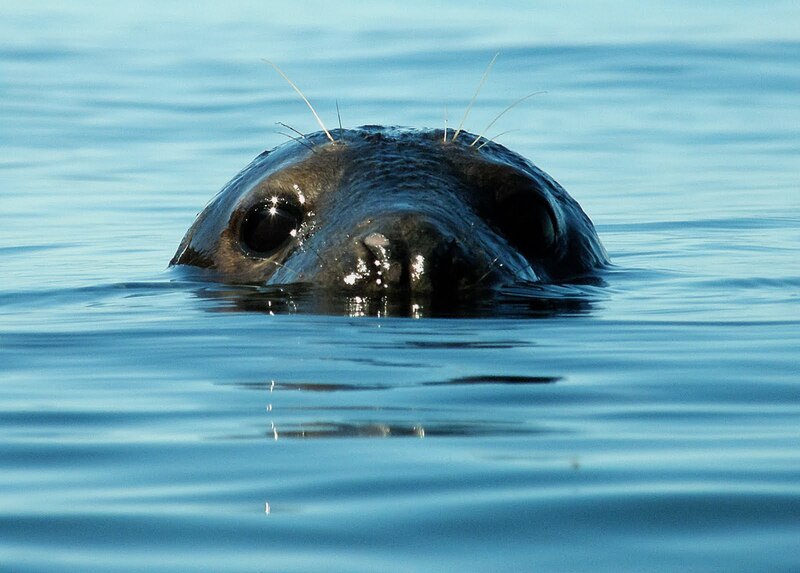 A message of hope for the north – and gradually, finally, they arrived, squeaking like rubber balls and dipping into the surface of the sea for fish. We still didn’t know what had delayed them, but they were here – and, we hoped, ready to mate. What’s the tern equivalent to mood lighting and Marvin Gaye? we wondered. Their late arrival meant there wasn’t much time… time to break out the really good sand eels. In the meantime, shorebird wardens were watching the sites – watching, waiting, and commiserating with those whose walks were cut shorter by the fenced off areas. The little terns are a Schedule 1 species, meaning it is a criminal offence to disturb them. 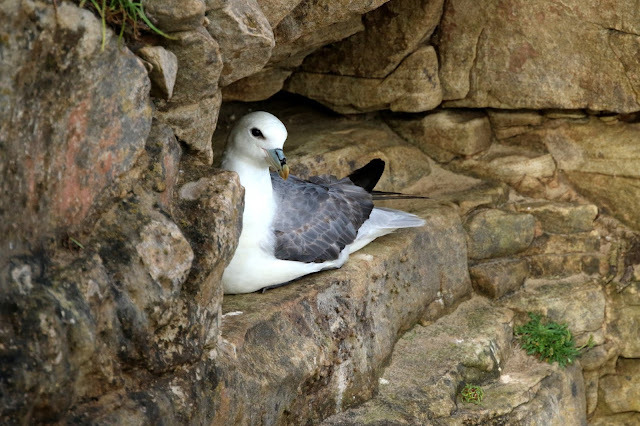 Sadly there are many hazards for a species that lays its eggs in small scrapes in the sand – including, but not limited to crows, gulls, kestrels, foxes, humans, dogs off leads, high winds, high tides, and their own sometimes poor sense in choosing nesting spots. After the joy of our first egg, the fear (I wonder: is this what parenthood feels like?). They are so very vulnerable. Yet these brave little birds return, year on year. And we do what we can to help. Yet every intervention is a gamble - putting up the predator-proof netting runs the risk of treading on scrapes or eggs, causing the birds to lose their bearings, or simply leading them to abandon the site. We move swiftly and carefully to complete the tasks - normally barefoot. Every now and then a sharp blade of the marram grass on the dunes prompts an exclamation, but we keep moving - eyes downward - as the terns flutter and squeak above us. We have ten minutes, max - in and out. Fingers fumble. We’re near the end of our time. And then it is done and we move fast, a bee line to the dunes. We throw ourselves down, breathless, out of sight. Eyes glued to binoculars, we wait. Will they return? Will they find their scrapes? Have we done more harm than good? It’s a gamble, always. We wait, and wait... and after about ten minutes are rewarded in our efforts by the sight of the terns returning, one by one, to their scrapes. A quick count. A sigh of relief. They’re okay. Tonight, our local Mr Fox - however fantastic - will have to seek easier prey. It’s an intense time, and though each successful stage comes as a relief it isn’t until the end of shorebird season that we’ll be able to really breathe again. 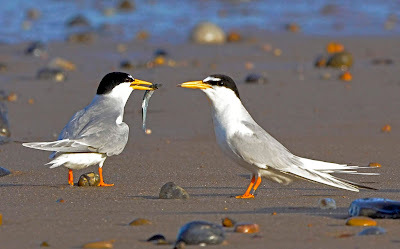 When, we very much hope, we will see our little terns fledge. We celebrated our first egg. We’ll celebrate our first chick. But our first fledgling? Deck out the beach in bunting and ring the bells. We might even run to a commemorative plate. Lindisfarne National Nature Reserve is situated on the North Northumberland coast and includes not only the Holy Island of Lindisfarne but 3500 hectares covering 65km of coastline. It is managed by Natural England. 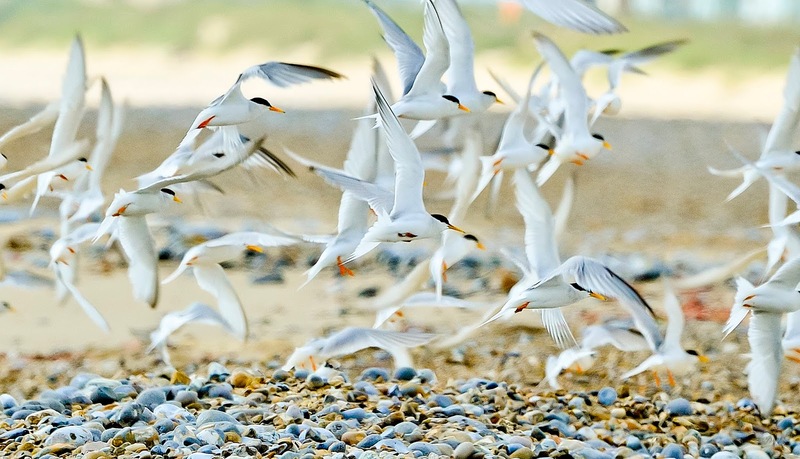 Our work with shorebirds is powered by both staff and volunteers and is part of The Little Tern Recovery Project – this work is part funded by the EU Life+ Nature Programme. If you are interested in volunteering on this or other projects on the reserve, please contact Annie Ivison at annie.ivison@naturalengland.org.uk or on 01289 381470. Photographs copyright to Kevin Simmonds. Little terns are a schedule one species and may only be photographed by those with a license to do so.